I didn’t know what to really expect from McCabe’s book. 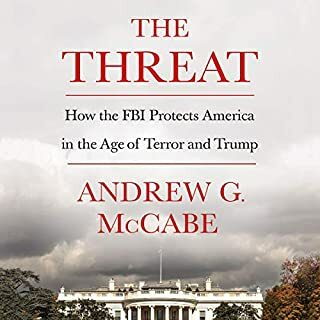 I’m happy to report that it delivers an interesting read on what was happening behind the scenes at the FBI during the first year and a half of the Trump administration. I’ve consumed all these books over the past year or two. They’ve come from a variety of perspectives. Some are clearly motivated. One thing they all share, though, is Trump’s wanton disregard for truth and democracy. That’s certainly clear from McCabe’s book. I can’t believe I finished this book. I guess I’m more an optimist than I thought. I kept expecting it to get better. Stupid me. It sucked from beginning to end. The characters were caricatures. I mean truly shallowly drawn. Did Karen Slaughter really write this? The plot might have worked had the characters been more than cartoons. I rarely return a book, especially one that I actually finish. I’m returning this one. Do yourself a favor: skip it. I think this might be the most snippy, critical review I’ve ever written. It’s the end of the world as you've never known it. Join the Librarian as he does his best to make the post-apocalyptic world a better place by protecting the weak, fighting injustice, squaring off against a group of former renaissance fair workers who have established a kingdom in the Rocky Mountains, and so on. Can one man make a difference in the face of such murderous cannibals and super smart bears? Probably not. Pluses: 3 books for 1 credit. Not bad, but not great either. The narrator was fine; don’t know why reviewers didn’t like him. He’s no R.C. Bray, but then, who is? He didn’t get in the way of the story. I listened at 1.25 speed, which is normal for me. Of the 3 books, I liked the last one the best. Will I buy Book 4? Only if it is on sale or offered as part of a bundle. I loved almost everything about this book. Rarely is a writer so able to ooze the every aspect of a location into the prose. Simply done with beauty and grace. The only time the writing faltered was when it moved into a sterile setting. As great a writer as Delia Owens is, she’s no John Grisham in the courtroom. Fortunately, while it was an important part of the story, it wasn’t a lengthy part. Cassandra Campbell did a good job narrating. I never was confused who was speaking. 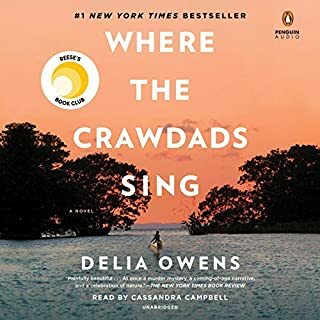 It’s early in the year but I’m fairly sure Where the Crawdads Sing will make it on to my year-end top 10 books of the year list. I like just about everything about this series. First Hurwitz has this character and his supporting cast nailed. Nothing they do is in the least out of character. That isn’t to say the story is predictable. 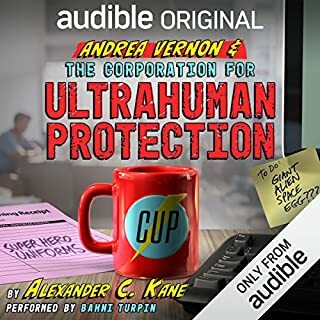 Hurwitz does a great job bobbing and weaving and keeping us on the edge of our seat. Then there is the flawless narration by Scott Brick. If ever there were a perfect pairing of narrator and novel, this is it. 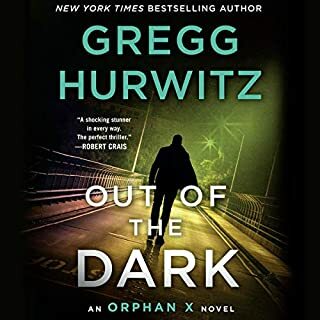 Brick isn’t in my top 5 lists of narrators, but I can’t imagine anyone doing the Orphan X series better. At 27, magician Natalie Webb is already a has-been. 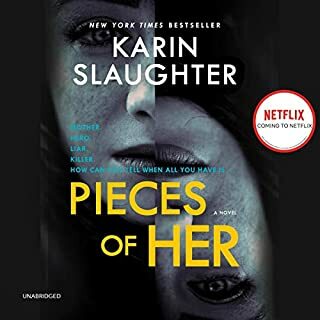 Shunned by the magic world after a disastrous liaison with an older magician, she now lives alone with her pigeons and a pile of overdue bills in a New Jersey apartment. In a desperate ploy to make extra cash, she follows up on an old offer to write a feature magazine article - on the art of cheating at cards. 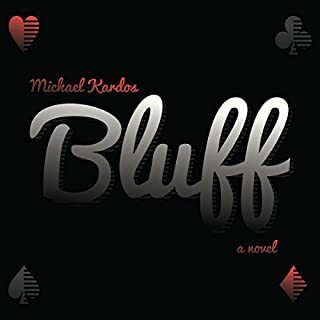 In the process, Natalie is dazzled by a poker cheat's sleight of hand and soon finds herself facing a proposition - to help pull off a $1.5 million magic trick that, if done successfully, no one will ever even suspect happened. I can't say enough about this book! It’s this book, Julia Whelan officially joins my favorite narrators list. 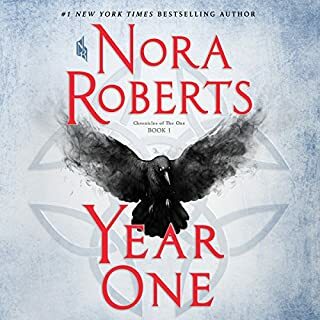 She was oft-mentioned when one of the Audible groups I followed asked everyone to list their top 5 narrators. 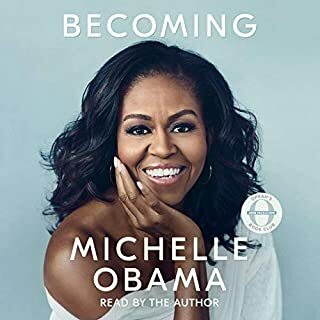 I couldn’t recall ever having listening to one of her reads, so this past week I did 2 back to back. 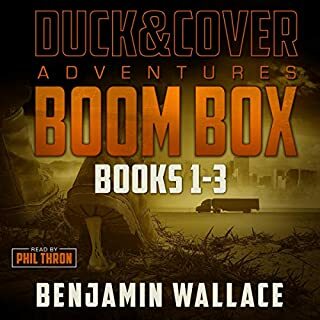 First was Year One , a good entry in my sweet-spot post-apocalypse non-zombie genre. The Bluff (this one). Both were well written, but what made them exceptional for me was Julia Whelan. I’ve become a big time consumer of post-apocalypse novels. This is a good one and I’m eager to read book 2. I have to say, though, that I compare all entries in this genre to the Commune series. If Commune is a 5-star story, then Year One falls a little less than that. No major flaws, but a few slightly rough spots in plotting/story-development. The narration by Julia Whelan is excellent. I can see why she shows up on members’ favorite narrators lists. 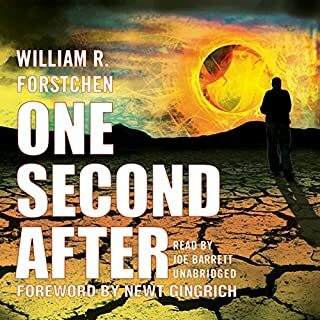 Already cited on the floor of Congress and discussed in the corridors of the Pentagon as a book all Americans should read, One Second After is the story of a war scenario that could become all too terrifyingly real. Based upon a real weapon - the Electro Magnetic Pulse (EMP) - which may already be in the hands of our enemies, it is a truly realistic look at the awesome power of a weapon that can destroy the entire United States. I wanted to like this book, but I should have known better with a forward written by Newt Gingrich. Too bad because the subject matter is worthwhile. The writing itself is not good. Simplistic at times. Preachy at others. The characters are shallow and one-dimensional. The ending is bleak. And the narration ranges from awful in spots to just not good elsewhere. Save your credit. Don’t even buy it on sale. Completely out there, but in a very fun and funny way. Bahni Turpin voices al these bizarrely endearing characters with such consistency that it is amazing. She’s right up there with my narrator-hero, R.C. Bray. And kudos to Alexander Kane. I can’t wait to read/listen to the next one. I had high expectations for this book. I love Michelle Obama. But I must say I found my first few hour tedious. She reads her book SOOOOO slowly. Eventually, I bumped the speed up to 1.5 and found myself enjoying it immensely. It’s definitely her voice, not Barack’s. We get a new perspective on the family and how it lived through its 8 years in the White House. It made me proud again that our country had the decency to elect Barack Obama not once, but twice to what, at least then, was seen to be the leader of the free world. The Obamas never embarrassed us. I miss them now more than ever. I wish Michelle would change her mind and enter politics, but understand and accept that she won’t. It’s a good book. Worth the credit.